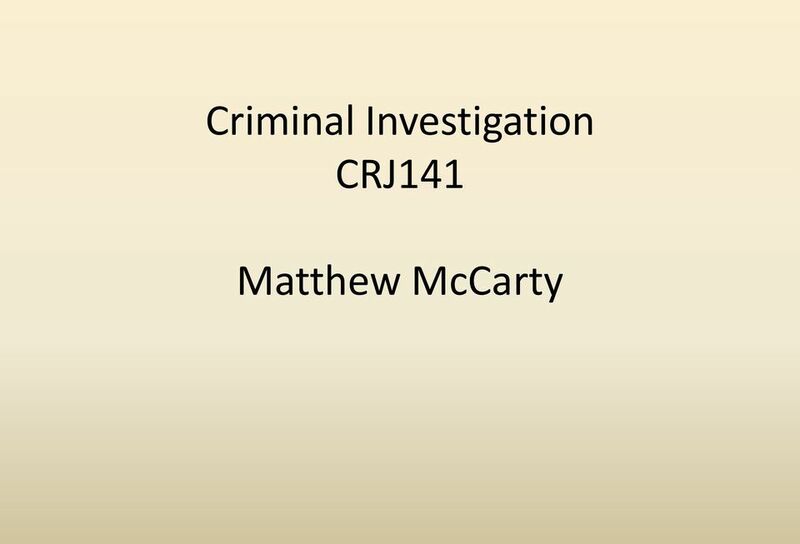 Download "Criminal Investigation CRJ141. 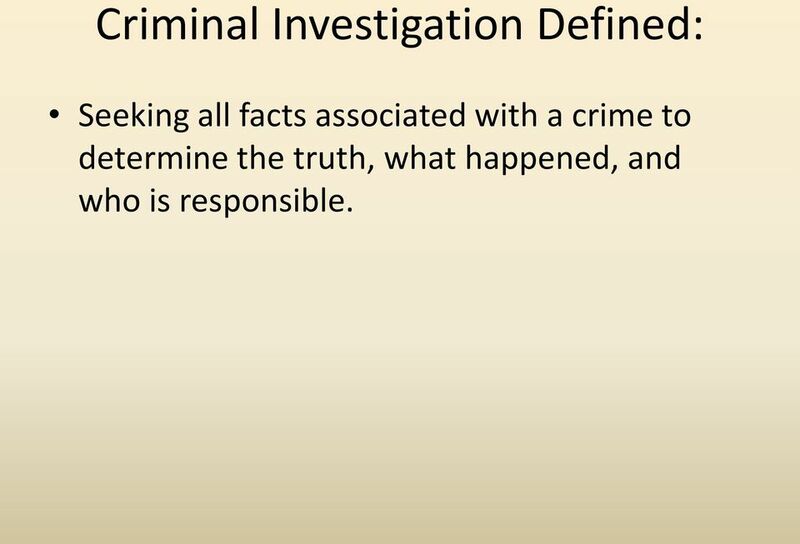 Matthew McCarty"
5 Criminal Investigation Defined: Seeking all facts associated with a crime to determine the truth, what happened, and who is responsible. 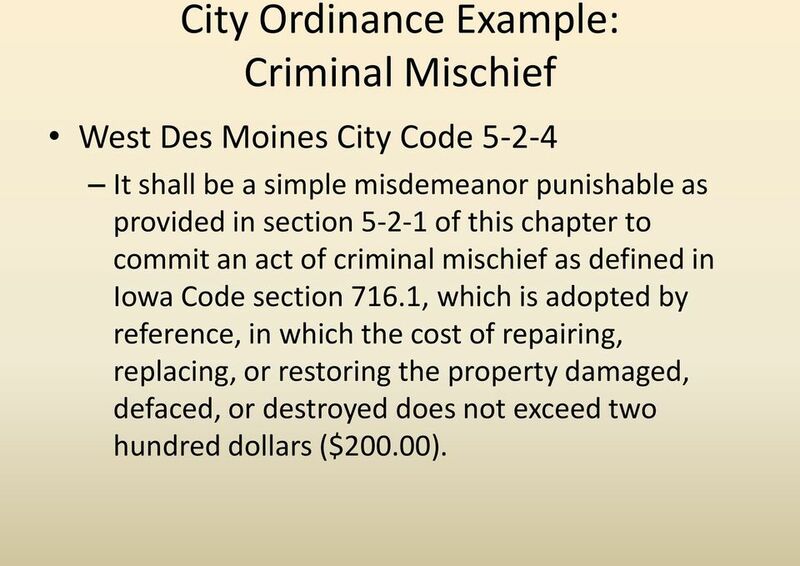 8 City Ordinance Example: Criminal Mischief West Des Moines City Code It shall be a simple misdemeanor punishable as provided in section of this chapter to commit an act of criminal mischief as defined in Iowa Code section 716.1, which is adopted by reference, in which the cost of repairing, replacing, or restoring the property damaged, defaced, or destroyed does not exceed two hundred dollars ($200.00). 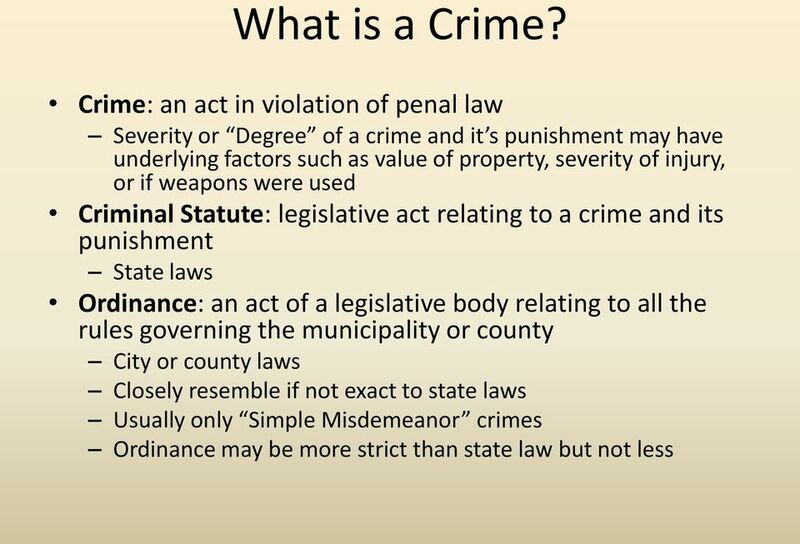 11 Statute of limitations Amount of time from which a crime was committed to when it can be prosecuted. 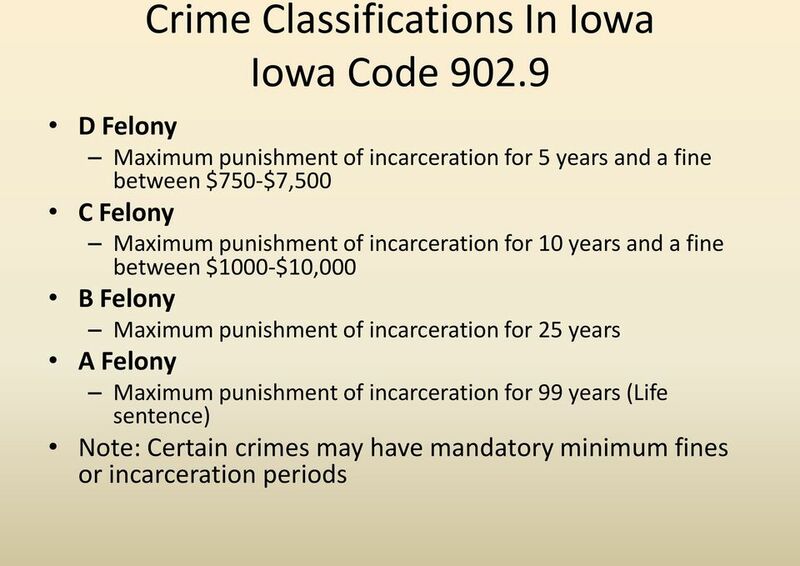 Time period starts when crime is committed Felonies, Aggravated Misdemeanors, and Serious Misdemeanors have a three year statute of limitations in Iowa. 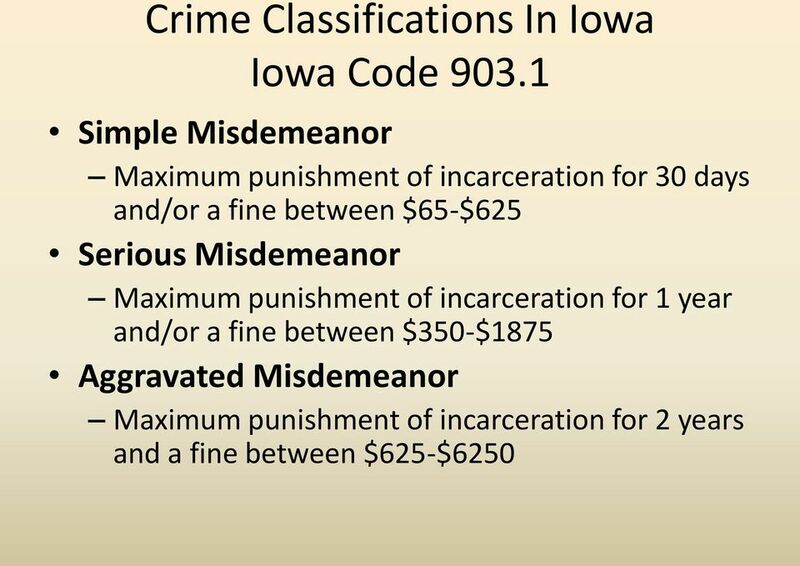 Simple Misdemeanors have a one year statute of limitations in Iowa. Certain crimes have a different statute of limitations. 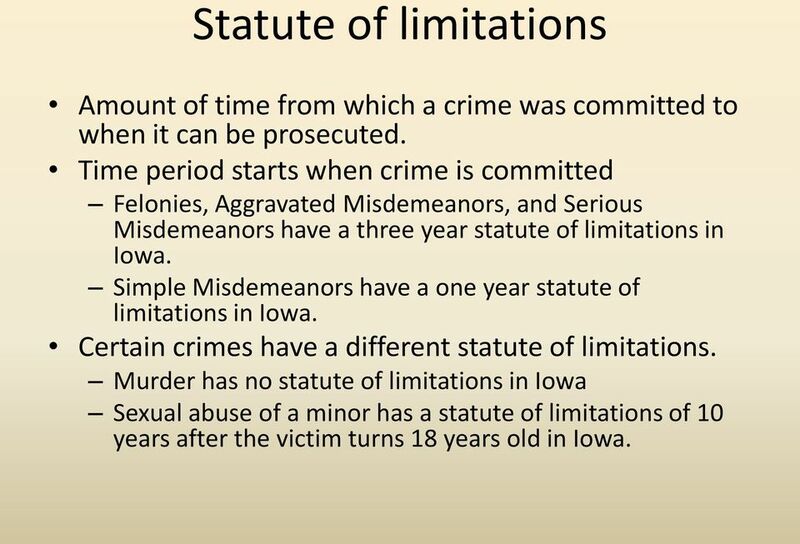 Murder has no statute of limitations in Iowa Sexual abuse of a minor has a statute of limitations of 10 years after the victim turns 18 years old in Iowa. 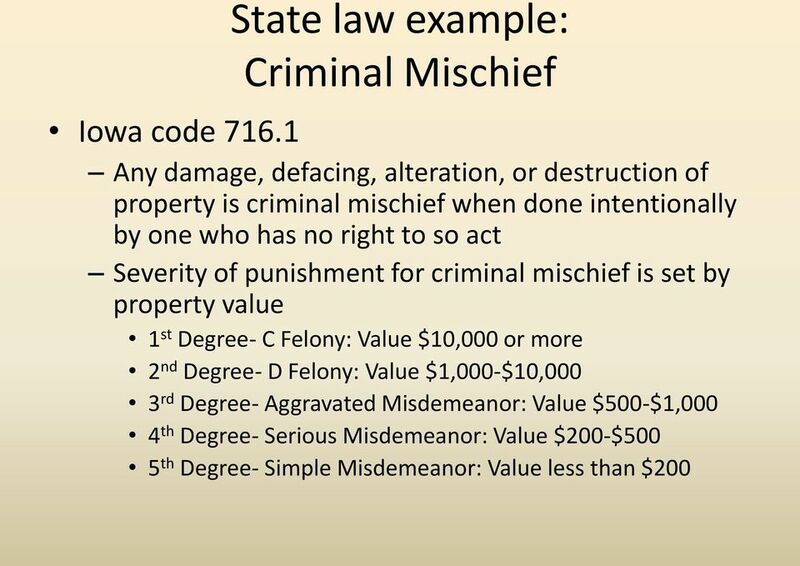 12 Additional Terms Elements of the crime: Must exist as defined by law for the act to be considered a violation of the law Example: For the charge of burglary an element of the crime would be the entering of a structure Corpus Delicti: Body of the crime Evidence of the elements of a crime. This must be proven by prosecutors. 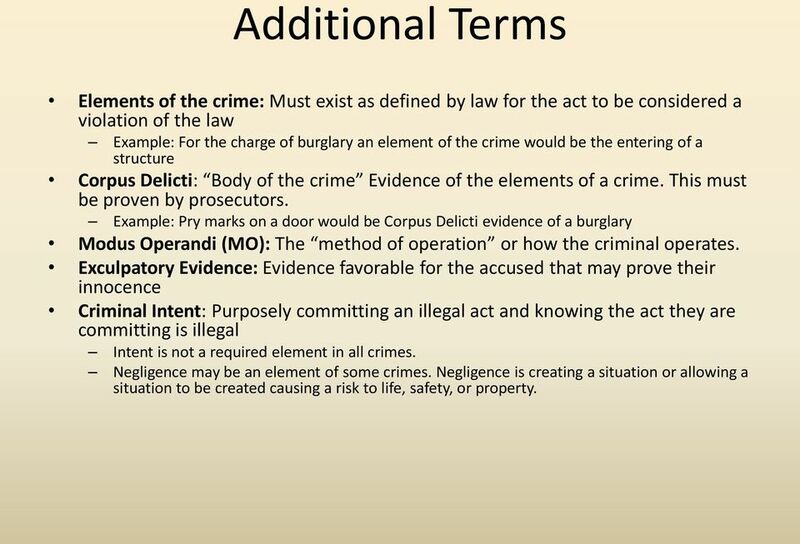 Example: Pry marks on a door would be Corpus Delicti evidence of a burglary Modus Operandi (MO): The method of operation or how the criminal operates. Exculpatory Evidence: Evidence favorable for the accused that may prove their innocence Criminal Intent: Purposely committing an illegal act and knowing the act they are committing is illegal Intent is not a required element in all crimes. Negligence may be an element of some crimes. Negligence is creating a situation or allowing a situation to be created causing a risk to life, safety, or property. 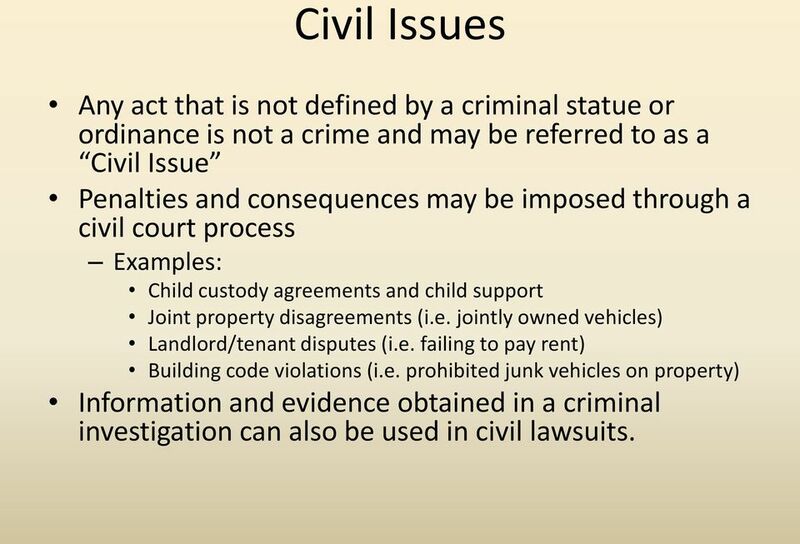 13 Civil Issues Any act that is not defined by a criminal statue or ordinance is not a crime and may be referred to as a Civil Issue Penalties and consequences may be imposed through a civil court process Examples: Child custody agreements and child support Joint property disagreements (i.e. jointly owned vehicles) Landlord/tenant disputes (i.e. failing to pay rent) Building code violations (i.e. prohibited junk vehicles on property) Information and evidence obtained in a criminal investigation can also be used in civil lawsuits. 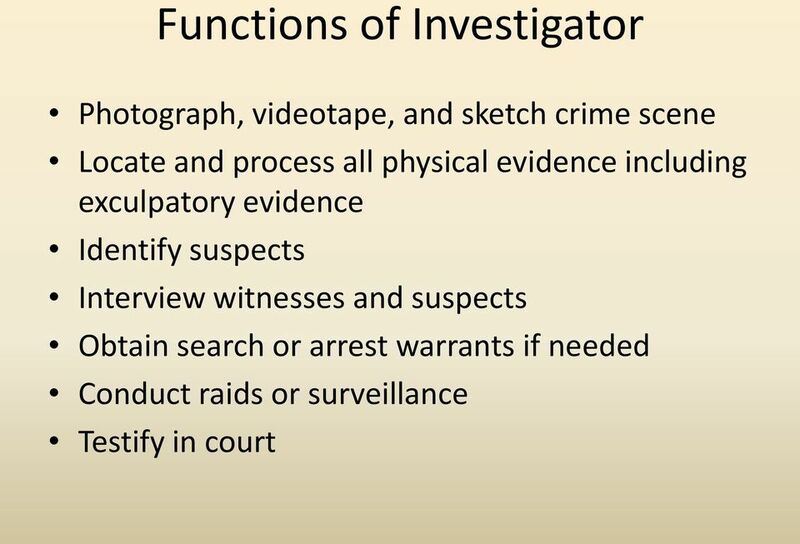 21 Specialized Assistance During an investigation investigators with specialized skills may be needed Criminalist: (aka crime scene technician or identification technician) A person with specialized training in the locating, collecting, interpretation, and preserving physical evidence. 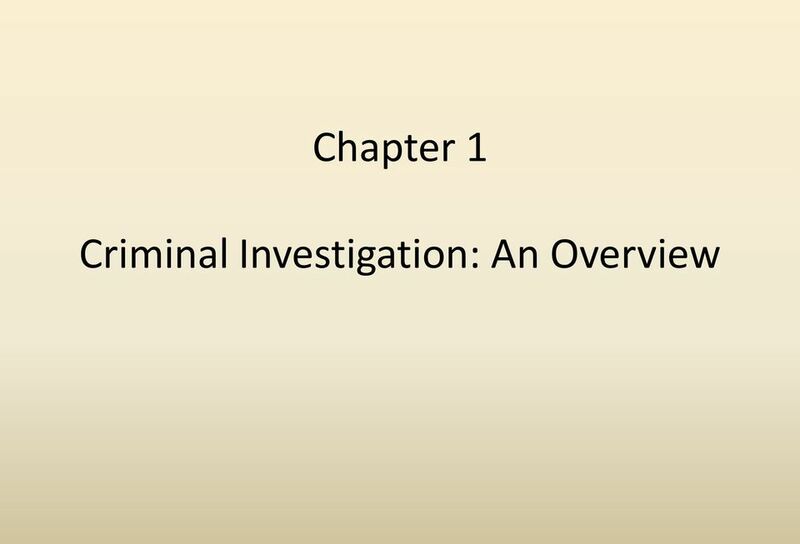 Criminalists receive training in areas of Forensic Science. 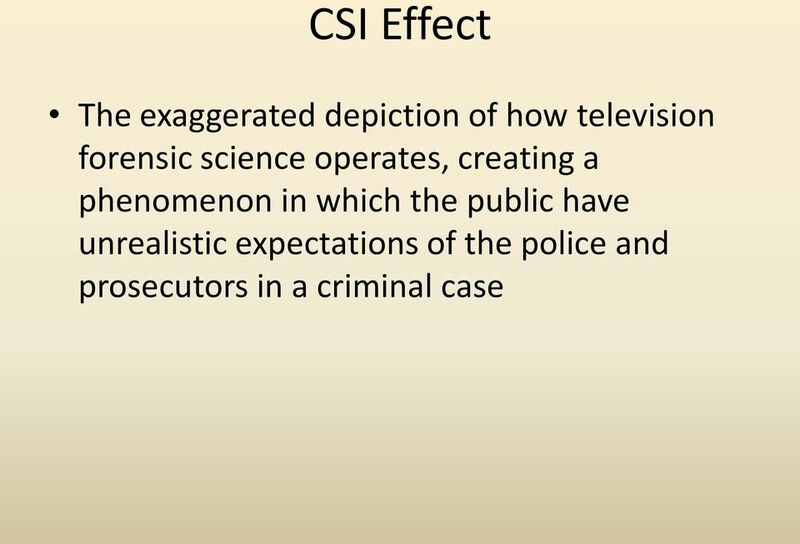 Forensic Science: Broad field of science which applies science to the law and investigations. There are a large number of disciplines included in forensic science including: Photography Toxicology (Study of poisons) Pathology (Study of diseases) Crime Analyst: Uses crime trend data to determine a criminal s Modus Operandi (MO) and possible future locations/times of crime. 25 Relationships and Responsibilities Dispatchers- Receive initial report of incident via telephone and dispatch appropriate personnel (PD, EMS, FD). 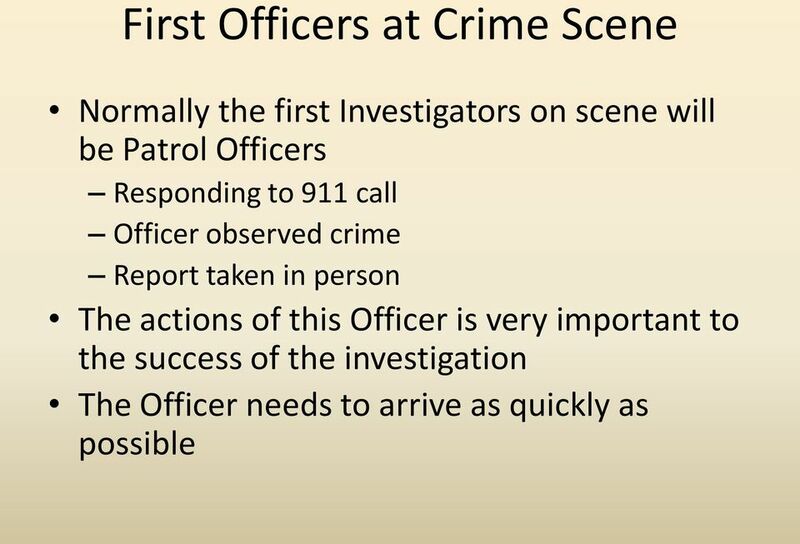 Uniformed Patrol Officers- Respond to scene quickly and conduct preliminary investigation. 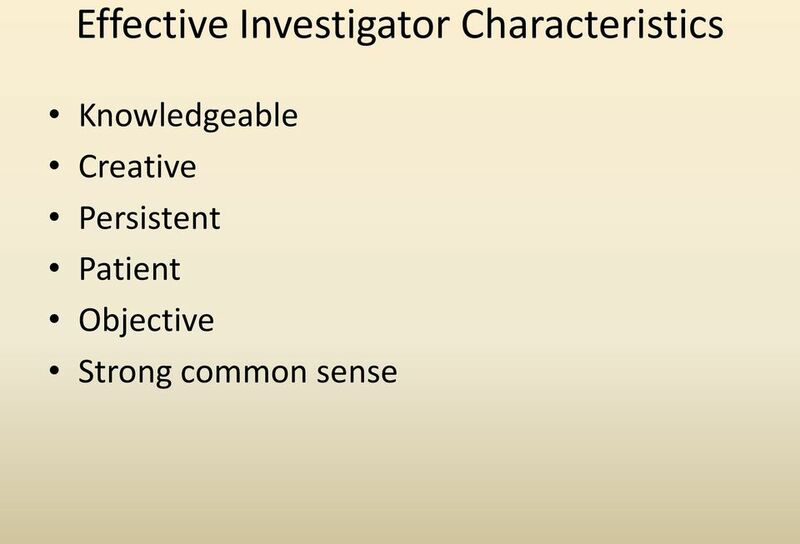 Request investigator or detective if needed otherwise conduct full investigation. 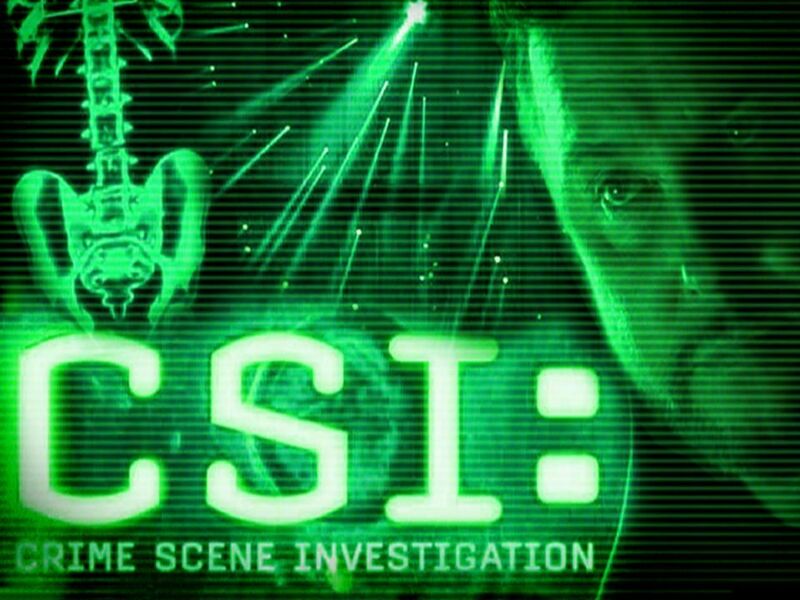 Detective- Take charge of crime scene and oversee investigation. Complete any follow up investigation that is needed. Prosecutor s Staff- (State/County Attorney) Provide advice and recommendations on appropriate charges and relevance of evidence. Prosecute case at trial. Defense Counsel- Attorney that represents accused at trial. 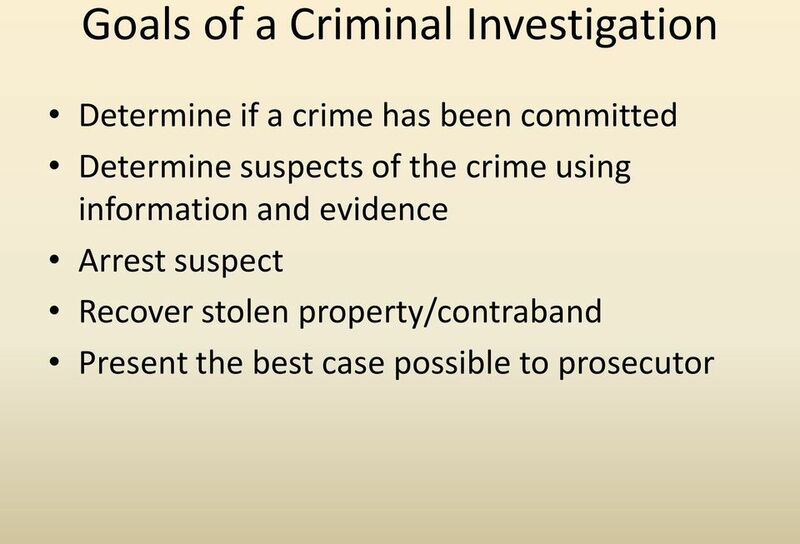 All questions received by Officers or Detectives by the defense counsel should be referred to the Prosecutor. 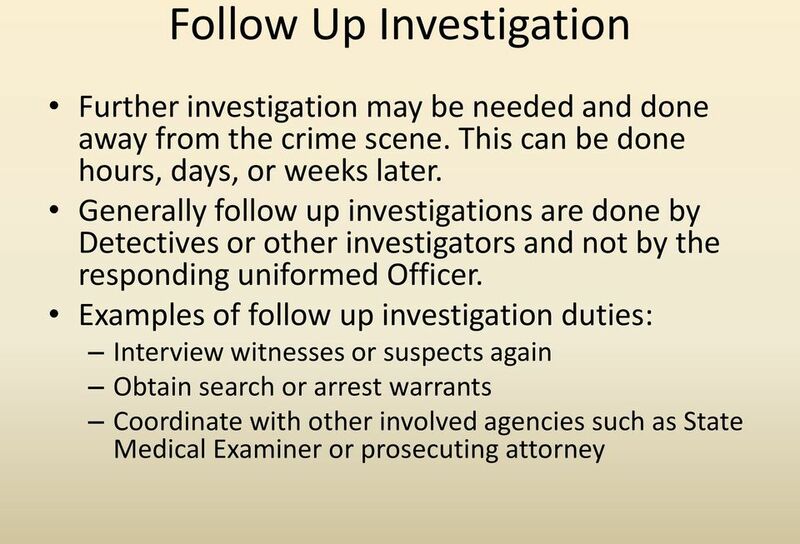 Medical Examiner- (Coroner) Complete investigation of a dead body and perform an autopsy. 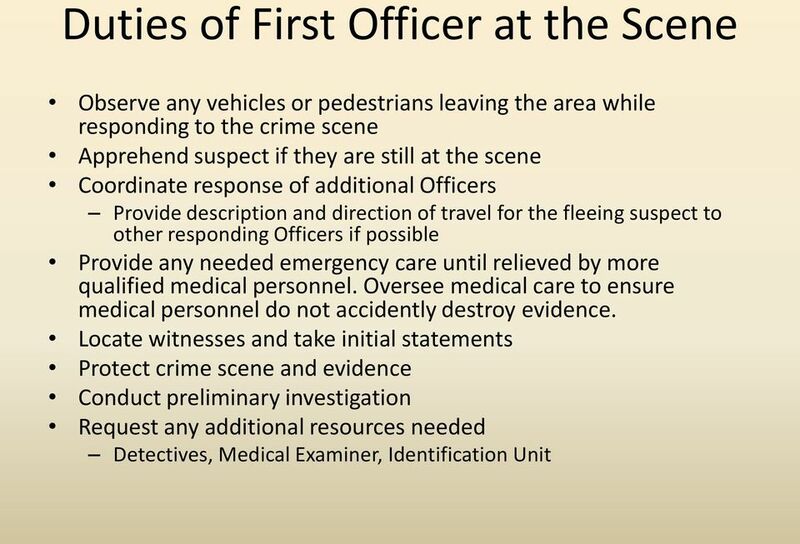 Coordinate with investigators concerning any evidence found during process and determine Cause of death. 26 Relationships and Responsibilities Forensic Crime Laboratories- Process physical evidence and provide analysis/evaluation of the evidence. In Iowa the Forensic Crime Laboratory is maintained and staffed by the Division of Criminal Investigation (DCI). This laboratory is located in Ankeny Iowa. Media- Provide news coverage of a crime and present it to the public by TV, Radio, and News Papers. The media may also be used to relay information and assistance needed by investigators to the public. 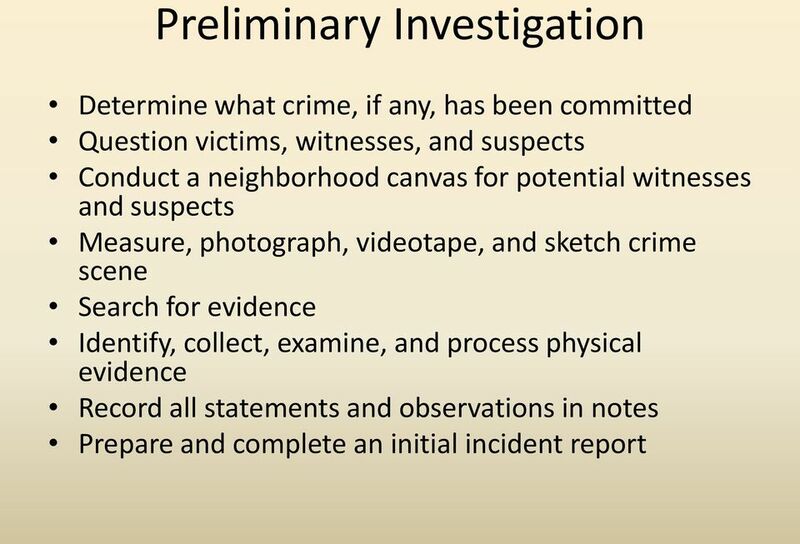 Victims and Witnesses- During the investigative process these individuals should be kept advised of the status of the investigation and any further assistance needed by investigators. Victims and Witnesses should also be given referrals for any assistance they may need such as counseling or reimbursement for damages. A good working relationship between all of these groups will lead to a better investigation. All groups are seeking the same goal of finding the truth. Law, Public Safety, Corrections & Security Cluster Planning, managing, and providing legal, public safety, protective services and homeland security, including professional and technical support services.